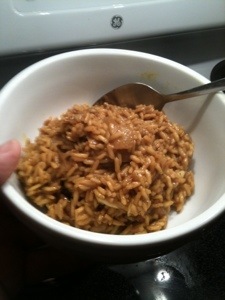 Curry rice for dinner. | Arthur in the Garden. ← Gus’s continued recovery! Fall things. So I was looking around the kitchen for dinner and saw a few leftovers that I could pull together into something. 1) I started off heating olive oil on medium heat. 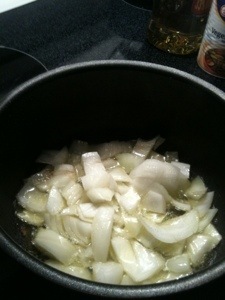 Once is shimmers, I add half of an onion that was in the refrigerator. Add salt and pepper to season. 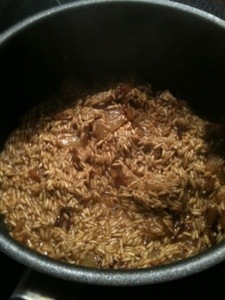 2) After the onions have softened, add the rice and stir until the oil is absorbed. About 5 minutes. 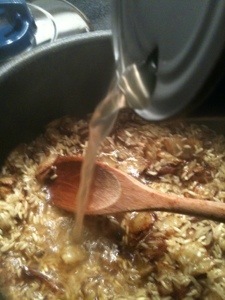 3) Once the oil has been absorbed, add enough broth to cover the rice. Stir to incorporate. 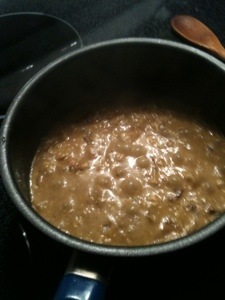 4) Cook until absorbed and stir often. I added a tablespoon each of curry powder and turmeric. I like things spicy! 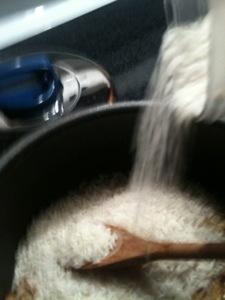 5) After the broth has been absorbed add more to cover the rice, stir to incorporate and then cover the pan and turn to low. 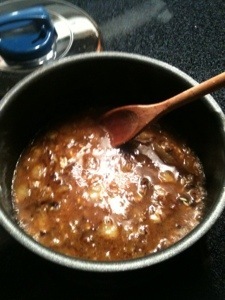 6) Once the broth has been absorbed its ready. You can add meat or broccoli and cauliflower, if you wish. And if I had a piece of naan bread it would be perfect but I am in for the night! Looks like a great throw-together dish!